The Boston Conservatory, the oldest performing arts conservatory in the nation, has announced a series of celebratory performances and events to commemorate the grand opening of its new and improved theater building. Marking the Conservatory’s first major facilities project in 50 years, the Hemenway Project is a $32 million, 16-month-long renovation and expansion project that effectively adds 16,000 new square feet of rehearsal and performance space to the building, as well as a completely renovated, state-of-the-art 300-seat theater with new orchestra pit, air conditioning and a host of technical upgrades and accoutrements. To commemorate this grand opening, the Conservatory is presenting a special celebration performance, "Opening Note: Building Dreams," October 13 - 16 in the new Boston Conservatory Theater at 31 Hemenway Street. • Former BSO Concertmaster Joe Silverstein performing with The Boston Conservatory’s Hemenway Strings (honors ensemble). • Alwin Nikolais’s visual masterpiece, “Tensile Involvement,” reconstructed by Alberto del Saz and performed by current students. • Fully-staged scenes from Puccini’s "La Rondine" performed by current students. • Musical theater numbers from "The Last Five Years," "Sister Act," "Curtains" and "The Wiz." The series will culminate Saturday night, October 16, with a special evening honoring legendary Broadway showman Tommy Tune (at left). The night will also feature a guest performance by Boston Conservatory Alumnus and 2010 Tony Best Actor Nominee Chad Kimball from hit Broadway show "Memphis," winner of the 2010 Tony Award for Best Musical. 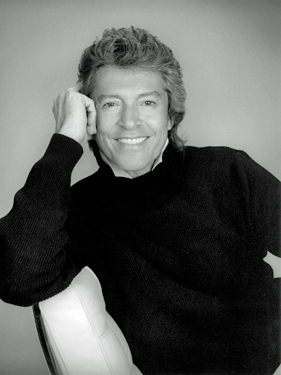 Known as one of the most prolific theater men of the Twentieth Century, Tommy Tune has delighted audiences for the past 50 years with his charisma, vision and innovation. 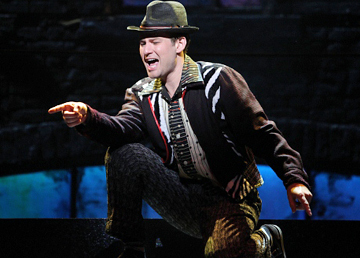 He has won nine Tony Awards for Broadway favorites such as "My One and Only," "Grand Hotel," "The Will Rodgers Follies," "Nine" and "Seesaw." Mr. Tune's talents extend well beyond the stage. His film credits include "Hello Dolly!," "The Boyfriend," "Mimi Bluette," "Fiore Del Mio Giardino" and "Hollywood Blvd." He has been honored with a star on the legendary Hollywood Walk of Fame. On several occasions, he collaborated with the late Thommie Walsh, a fellow Broadway director, choreographer and actor who attended The Boston Conservatory in the 1970s. Tune is also recipient of the National Medal of Arts, the Country's highest honor for artistic achievement. Chad Kimball (at left) commented, “I am honored to be a part of the grand opening event of the Hemenway Project. Approaching 400 shows doing Memphis on Broadway, I've used every tool that was imparted to me through my education at The Boston Conservatory. I know this new facility will allow current and future students to learn and practice their craft on their path to successful careers as the next generation of highly trained artists - taught at the best conservatory training program the world over." All events take place at 31 Hemenway Street, Boston. For tickets and information, contact The Boston Conservatory box office at 617-912-9222.